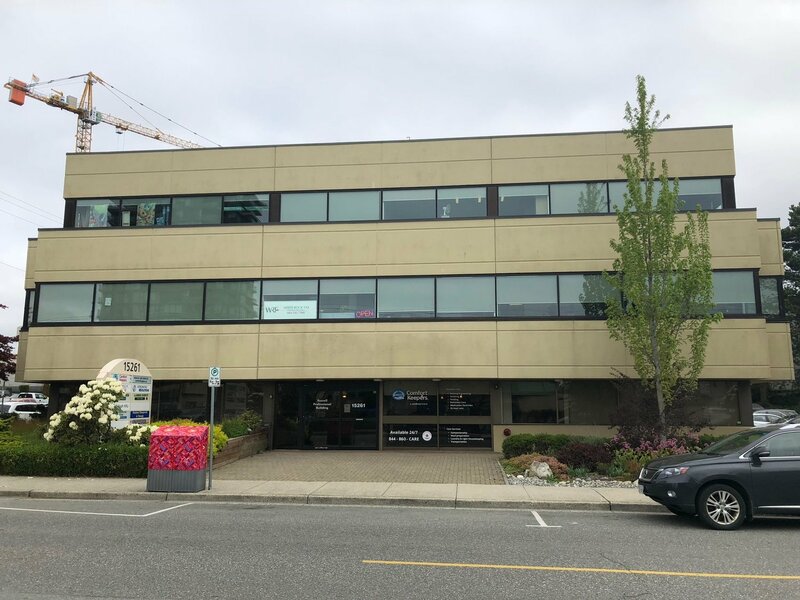 The subject property related to a three-storey office building demised into four strata titles lots. The gross building area is estimated at 15,996 square feet, with a leasable area of 14,392 square feet. Zoning: CR-2. Based on development patterns in the area. The OCP designation of the subject is Town Centre Transition. According to the OCP, "The Town Centre Transition area is residential in character, with densities and heights that support the Town Centre and provide transitions to neighbouring low to mid rise residential areas". The maximum FAR for the subject property is 2.5 with a maximum building height of approximately 10 storeys. OCP states that in the Town Centre Transition are the City would "allow a 40% increase to maximum FARS where at least half of this additional floor area is dedicated to and secured as residential rental units. The buyer to verify square footage & zoning/development potential if deemed important.